Stable and effective DAW 130/20 PP sound projectors are made of high-quality powder coated aluminum that is completely corrosion-resistant. They are equipped with a high quality broadband speaker with a diameter of 130 mm. Aesthetic and modern enclosed enclosure offers exceptional sound quality. Completely resistant to vandalism. They are characterized by an easy and fast fixing system. It has an IP 54 protection level. Connection module with a 3-contact ceramic cube equipped with a 130 C 3 A thermal fuse. 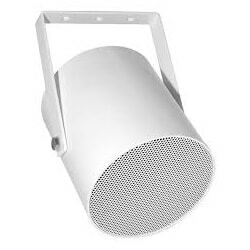 The ceiling loudspeakers DEL 130/10 PP are made of high quality powder coated steel. 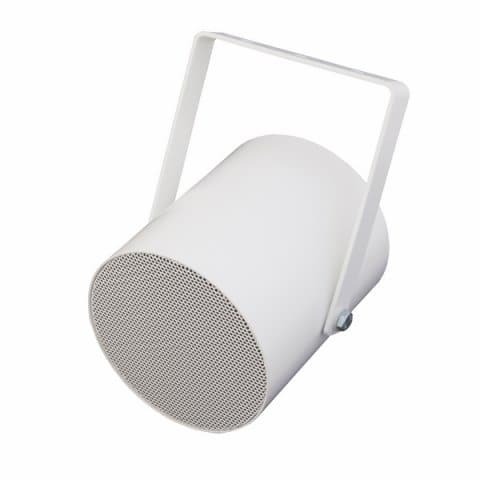 They are equipped with a high quality broadband speaker with a diameter of 130 mm. Thanks to the very simple system handles based on three springs sets are characterized by fast and very durable assembly. Connection module with a 3-contact ceramic cube with thermal fuse. Includes fire protection cover with steel sling.